The Nigerian parliament on Thursday passed the 2012 budget with higher expenditure than advised by the Finance Minister. The budget passed recorded a total expenditure of 4.88 trillion naira, as opposed to the 4.65 trillion proposed by the Finance Minister, Ngozi Okonjo-Iweala last month. This increase could lead to further delays, if the President, who needs to sign before it becomes law, does not accept it. Last year Jonathan sent back the proposed budget and asked them to make more cuts, before a compromise was reached weeks later. 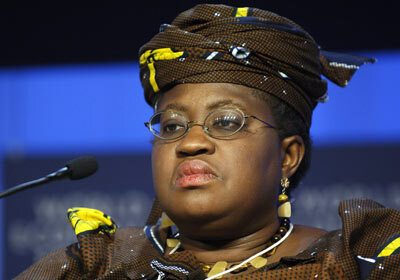 The spending plans assume a $72 a barrel benchmark oil price, up from $70 in the proposal submitted by Okonjo-Iweala, boosting revenues available to the government. The Central Bank Governor Lamido Sanusi had previously urged lawmakers not to push it above $70 barrel as the country saves money it earns over the benchmark price to cushion the economy against price shocks. The budget assumes oil production of 2.48 million barrels per day, an exchange rate of 155 naira to the dollar, 9.5 percent inflation and GDP growth of 7.2 percent. These are all unchanged from last month’s proposal. The Minster of Finance, Ngozi Okonjo-Iweala, had also, on Wednesday, announced to the Federal Executive Council (FEC) that 83 percent implementation of the 2011 Appropriation Act had been recorded. This came with just about two weeks to its March 31 deadline. Briefing journalists at the State House, Abuja after the weekly council meeting which was chaired by President Goodluck Jonathan, the Minister of Information, Labaran Maku, said the record was impressive. He said the government was hopeful that better success would be recorded with subsequent budgets, explaining that under the guidance of the President, Ministries, Departments and Agencies (MDAs) were able to improve their efficiency in carrying through budgetary programmes and projects. The minister also revealed that the that FEC approved five new power sub-stations to be sited in Kwoi in Kaduna state, Nnenwe (Enugustate), Egbe (Kogi), Ose (Ondo) and Gagarawa (Jigawa), “in order to improve the supply of power and better the life of the people living at these states, council approved the cobstruction of five substation projects at the total costs of $21,400,650.42”. A N7.02 billion contract for the rehabilitation and expansion of Terminal 4 of Old Warri seaport had also been approved.